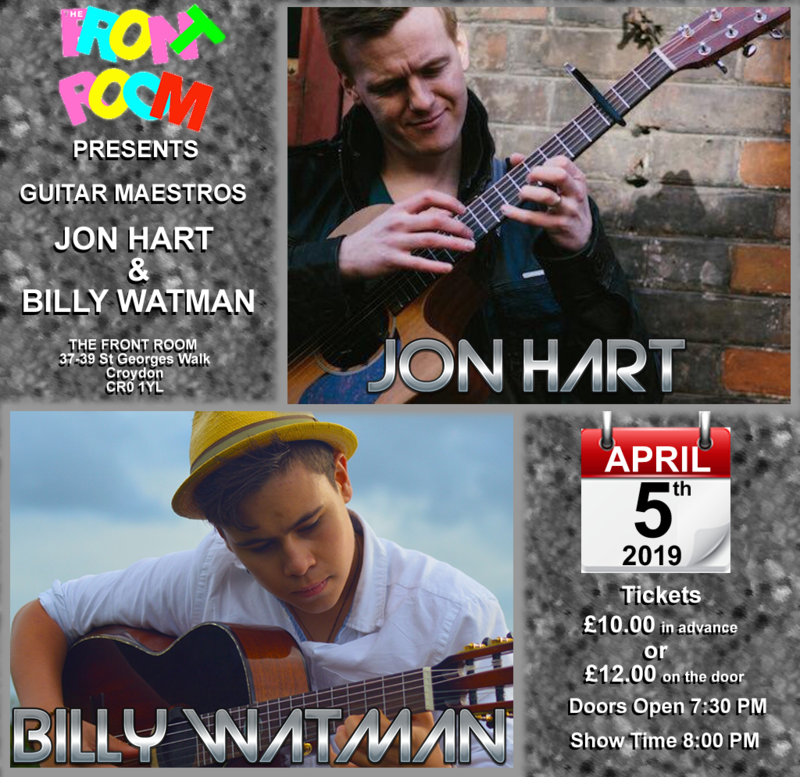 Billy Watman is an award winning 17 year old guitarist, best known for reaching the Grand Final of the Sky TV talent show "Guitar Star" in 2016 - at the age of just 14. The show was broadcast on 4 continents and Billy's audition video - performing a fantastic instrumental arrangement of Queen's Bohemian Rhapsody was shared by the band's official Facebook page, and was an internet sensation, with tens of millions of views worldwide. Influenced by Flamenco, Rock, Classical and more - Billy refuses to be pigeon holed into a specific genre - and performs an eclectic mix of material in a uniquely original style. Since Guitar Star, he has supported virtuoso acoustics guitarist Jon Gomm and Clive Carroll, performed at numerous UK and European festivals, including ‘Musikmesse’ (Frankfurt), 'Towersey Festival', 'Edinburgh Fringe', ‘The Acoustic Festival of Britain’, the iconic ‘Ullapool Guitar Festival’ (Scotland) and ‘The Henley Festival’ – on the same bill as The Pet Shop Boys and Chaka Khan. Equally at ease on both steel and nylon strings, and refusing to be ‘pigeon holed’ into a specific musical style, Billy’s live show offers a mesmerizing, genre defying journey through music, with repertoire spanning Classical, Flamenco and Pop, through to Electronic Trance and Classic Rock – all on 1 guitar. Expect to hear familiar songs, from artists as varied as QUEEN, The Eagles, Stevie Wonder, The Beatles, Dire Straits, The Foo Fighters, Mike Oldfield, Eric Clapton, as well as a sprinkling of original material. All on 1 just 1 guitar, in a breathtaking live show."